One of the most popular things to do in Tokyo is to stay in a capsule hotel. However, these hotels caters to mostly men, which could complicate an itinerary. If you are claustrophobic, you are going to have a hard time in finding a suitable hotel room without breaking the bank. Remember, you are in Asia, even rooms at nice hotels are going to be smaller than you anticipated. We also tried to book a traditional ryokan but since its peak season, we weren't able to do so. Like in every city, we suggest for you to do is to make sure that your hotel is in close proximity to train and subway stations. This will make your life very easy in navigating the largest metropolis in the world, no matter which neighborhood you choose. For us, we wanted to have ease in bringing our luggage from the airport to the hotel and from the hotel to Tokyo Station. Since we planned to take the shinkansen (bullet) train from Tokyo Station to Kyoto, we made sure that the area of the hotel is very convenient to get around the city. Hamamatsucho Station is just one stop away from Tokyo Station. This way, we do not feel the need to rush to get to the station to catch the shinakansen train, especially they leave on the dot. 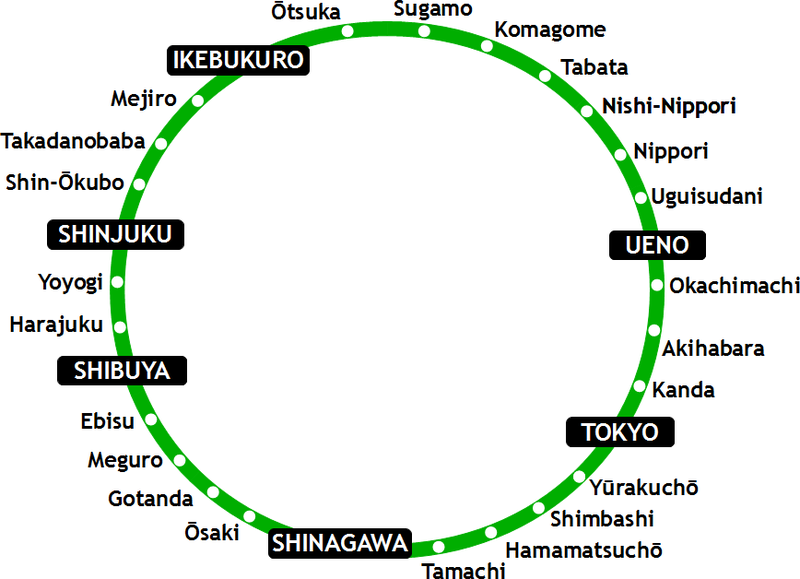 However, because Tokyo's so well connected by rail, staying outside of the city center is a viable option that will save you money. In all corners of the globe, the story of this loyal dog, named Hachiko has been heard. Thanks to Richard Gere's movie about the undying loyalty of this dog to his master. It is Japan's most iconic dog and in commemoration for his unwavering loyalty, a statue was built for him under a cherry blossom tree. Doesn't matter where you go, there would be a mass of people in front and behind you crossing this busy street, no matter what time of the day it is. For the best view for people watching, we suggest to go and sit down at the L'occitane Cafe in Shibuya. Enjoy their wonderful desserts and watch this controlled chaos pass you by. If you also like to go shopping, this will be a good spot for you to do that. Have a warm welcome in Japan by eating a hot bowl of ramen. Make sure to make it a point to stop by at Tokyo Ramen Street at Tokyo Station. Confused which restaurant to choose? Follow where the line is! You will quickly learn that a restaurant is good in Japan, if locals are lining up for it. At some point of your journey, you will stop at Tokyo Station and if you have extra time, navigate this humungous place. You can buy souvenirs, gifts (omiyage) or snacks here. You can also find different types of restaurants at this station. Located in Harajuku, this shinto shrine is one of the most popular in Tokyo and it is dedicated to the deified spirits of Emperor Meiji and his wife. Shinto is an indigenous religion in Japan dating back from the 8th century. They worship nature spirits and ancestors. They also believe in sacred power of things. While still in Harajuku, especially during sakura season, visit Yoyogi Park and enjoy hanami at its best. Friends and family gathering under the tree, eating and drinking. For you to best enjoy the park like locals, bring a small mat you can sit on. (Note: You can always use the hotel towel, if you didn't bring one!) You can have your very own picnic, sit under the cherry blossom trees and marvel its beauty. Grab a bento box or two at a convenience store on your way here. Mind you, those to-go bento boxes look really good! Since you are already in Harajuku area because of Meiji Jingu Shrine and Yoyogi Park, pass by Takeshita Dori or Takeshita Street and check what the fuss is about. You will see a very crowded pedestrian lane full of teenagers. The street is filled with trendy shops peddling the latest fads. We were brave and fought the chaos on this street for a block before turning around. GO TO MEMORY LANE/ PISS ALLEY AND EAT YOUR HEART OUT! Located in Shinjuku area, near the metro, eat at the Yakitori alley. Yakitori means skewered food grilled to its barbecued goodness! Narrow stall restaurants line this proportionally narrow alley. The restaurants seats only a few people. Its one of those places that makes feel like you step back in time. As you approach the entrance, you begin to smell charcoal and meat on fire, as if its inviting you to sit down and eat ASAP! The menu is simple and some have English menu. You don't have to really understand what you want to eat because the skewers are all laid out on display. We ate all pork innards and pork belly charred to perfection. It is simply the best thing on earth! We also made sure to stop by at Kabuto, this particular restaurant serves only eel meat. This would be one of the best barbecued eel you will ever taste and the most memorable experience we had on our first 24 hours in Tokyo. Kabuto Yakitori Restaurant. Notice the charcoaled lamp - still standing after 60 years! This is only the first part of the "48 Hours in Tokyo" series. The first 24 hours was tiring and using the public transportation system in Tokyo took a little time in getting used to. You really have to plan your itinerary to maximize your time, so you can see and feel this megapolis of a city, that is Tokyo. Read 48 Hours in Tokyo: Part 2, here. Tokyo is so going on my "To Go List" - thanks! Tokyo was fun!!! You will love it. I'm super envious of the cherry blossom photos. I can't wait for them to bloom here in Toronto! Love all of the photos! Really brings Tokyo to life! Super jealous - we visited Japan and loved it, though weren't there for the cherry blossoms so would love to go back!! Thanks for the inspiration!! Thank you. We absolutely loved our visit too! Would love to go back during winter time to see Sapporo. Looks like you had a fantastic time in Tokyo during those 48 hours! Thank you for sharing all those wonderful photos and trip advice! I doubt I will ever get to Tokyo (too expensive), but it sure is nice to read about it. You might be able to, fingers crossed! Looks like you got a lot done in 48 hours. I've always wanted to go to Japan so I'm definitely going to bookmark this for future reference. Yes, we did get a lot done. Thank you! Just another reminder how much I want to see Tokyo. Besides India, which I visited last year, Japan is the other Asian destination I am very drawn to. Great photos here, I feel like they show the city vibe well. I would love to go back to India again actually... pushing my husband to go. Haha!